Wondering what to do with your used car or truck? Donating your old vehicle to CP Rochester is convenient, easy, and may qualify you for a tax deduction. And best of all, your donation of a used car or truck will make a big difference in supporting individuals with physical and developmental disabilities. Why not donate your vehicle today? All you need to do is to complete our simple on-line donation form or call 1-866-628-2277 and we’ll take care of the rest. We will pick up your vehicle, arrange to have your donation towed (if necessary), and provide you with a tax-deductible receipt, all at no charge to you. Call 1-866-628-2277 or click here to fill out the form on-line. Thank you very much! Yes, CP Rochester is a non-profit organization and all donations qualify as a charitable deduction on your federal income tax return. CP Rochester has partnered with Vehicles For Charity to process donated vehicles. Just call 1-866-628-2277 and they will answer any other questions you may have and make arrangements to pick up your donation. What are the benefits of donating my car to CP Rochester? CP Rochester benefits by receiving a cash donation to fund new and existing programs and increase community awareness through local events. You benefit by being able to reduce your taxable income when taxes are itemized. 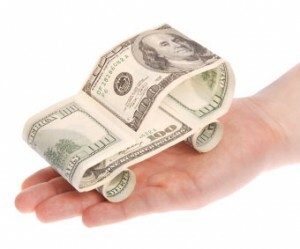 Plus, you avoid the costs associated with selling your car. No need to pay for advertising, no loss of privacy and possible security risk, and no need to pay for vehicle registration, insurance, and repairs to keep your car in running condition while you wait for a buyer. In some cases we can take your car, running or not. However, it must have an engine and be towable. Contact a representative at 1-866-628-2277 to find out if your vehicle qualifies for pick-up. We make donating your car as simple and convenient as possible. A tow company will contact you within two to three business days.